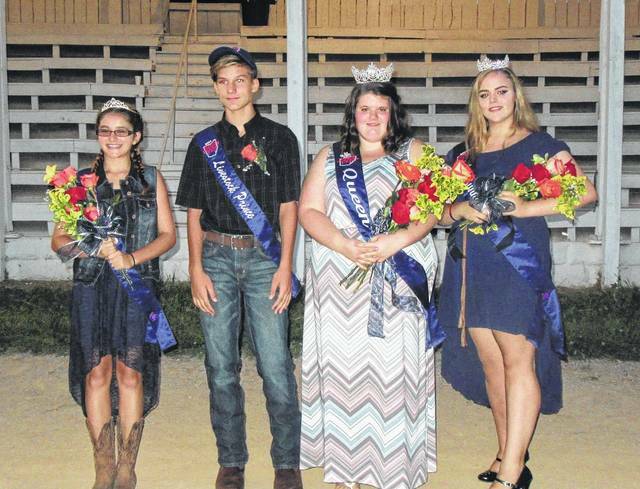 The 2017 Meigs County Fair Royalty were Livestock Princess Rachel Jackson, Livestock Prince Cooper Schagel, Queen Michaela Holter, First Runner Up Katelin Ferguson. The 2018 royalty will be crowned on Sunday evening. 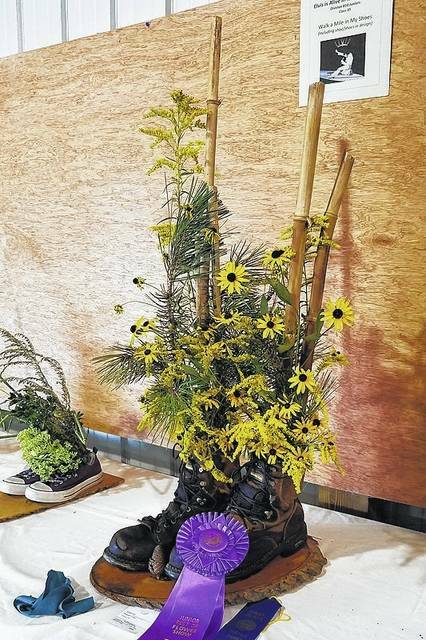 Flower shows are scheduled to take place on Monday and Thursday as part of the 155th Meigs County Fair. Harness racing will be held on both Thursday and Friday afternoons. 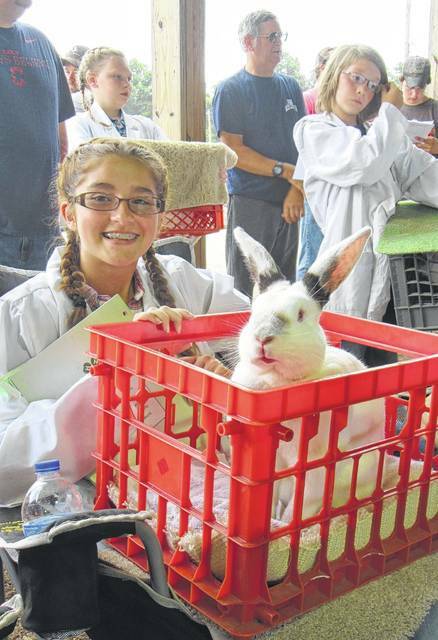 Livestock shows, including rabbits, will take place throughout the week, with the livestock sale on Saturday. Rides will line the midway of the Meigs County Fairgrounds beginning on Monday. ROCKSPRINGS — The rides, the animals, the fair food and much, much more make their return for the 155th Meigs County Fair this week. Whether you enjoy the demo derby, horse racing, live music, animal shows, or a funnel cakes, the Meigs County Fair includes something for everyone. Fair festivities kick-off on Sunday evening with the Junior Fair Parade and crowning of the fair royalty. 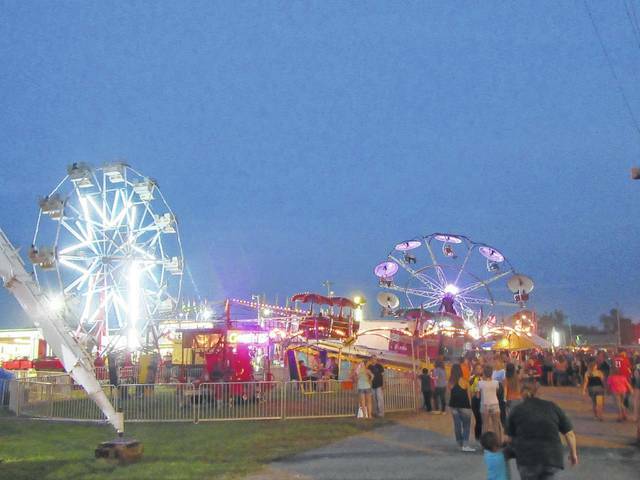 The fair will then run Monday, Aug. 13 through Saturday, Aug. 18 with gates opening at 7 a.m. and closing at 11 p.m. each day. The carnival rides will run from 1-4:30 p.m. and 6-11 p.m., Monday, Wednesday, Thursday and Friday, and from noon-5 p.m. and 6-11 p.m. on Tuesday and Saturday. Rides are free with the $8 general admission to the fair. Pass holders may purchase daily ride tickets for $5. Season passes are available for $17 or $19 for membership tickets. Senior Citizen Day will be held on Thursday, with all senior citizens admitted free with a Golden Buckeye Card until 2 p.m. On Tuesday, kids 12 and under are admitted free until noon. One new contest this year has to do with animal showmanship. While livestock shows and showmanship competitions are one of the highlights of fair week for those with animal projects, there will be a new twist this week with the Old Timers Showmanship competition. At the conclusion of the market animal shows (lamb, goat, hog, etc. ), in addition to Pee Wee Showmanship for the younger ones, there will be the Old Timers Showmanship for those 19 years of age and older. There is a $5 for the Old Timers competition with the winner receiving half the money and the rest benefiting the Junior Fair Board. 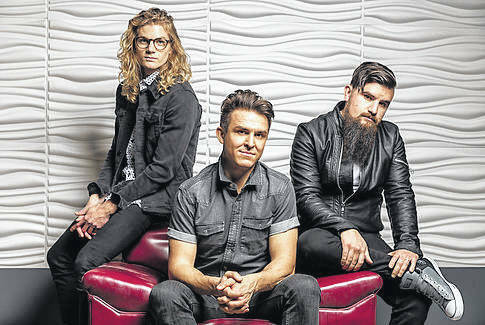 Featured entertainment as part of the fair will include Wayland on Wednesday evening, and Citizen Way and Unspoken on Tuesday evening. The Tuesday evening performances are part of the first Drug Prevention Awareness event held in conjunction with Kid’s Day at the fair. 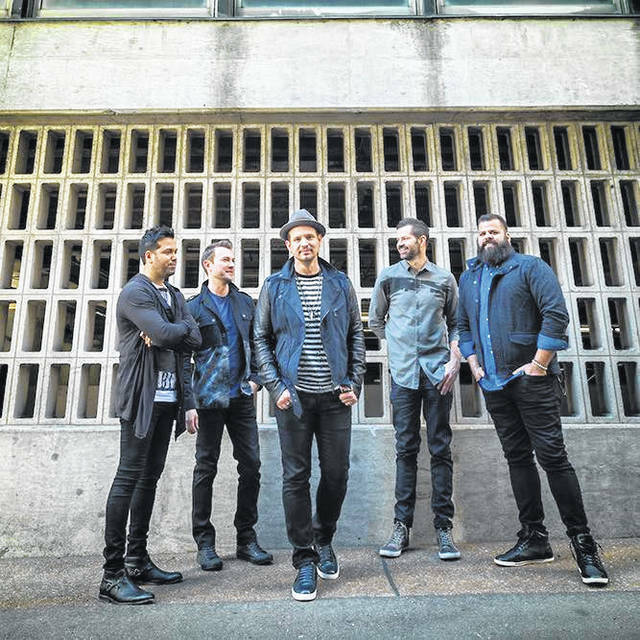 As is tradition, the fair will feature a full slate of activities. Monday’s activities include the Junior Fair Horse Show, Little Miss and Mister Contest, Pretty Baby contest, Junior Fair Dairy Show, Flower Show, Open Class Dairy Show, Hay Show and Horticulture Judging. The afternoon will feature a Junior Fair Board Service Auction and Sheep Show.The evening’s entertainment will be a performance by Belles and Beaus, ATV Drag Racing and a Demo Derby. Tuesday is Kid’s Day and Drug Prevention Awareness Day at the Fair and begins with the Junior Fair Poultry Show. Drug Prevention day events will take place at noon and 2 p.m. on the Hill Stage. The afternoon includes the Open Class Beef Show and Open Class Poultry Show. The evening is filled with the Junior Fair Dairy Steer and Dairy Feeder Shows, and Beef Feeder and Market Steer Shows. 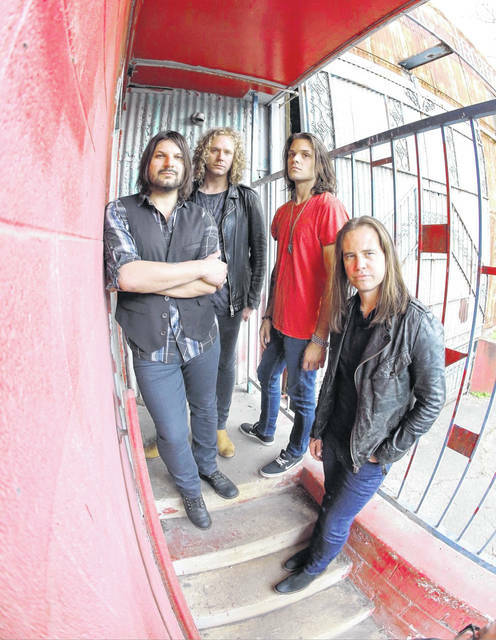 Citizen Way and Unspoken will perform at the Grandstand in the evening. Also on Tuesday evening will be the Antique Tractor Pull and the Open Horse Show. Wednesday activities and events include the Junior Fair Market Hog Show, Junior Fair Horse Fun Show, and the Market Goat Show. Also on Wednesday will be Clover Clues, a Corn Hole Tournament, Lazy J High Stakes Karaoke and evening musical entertainment by Wayland. Thursday is Senior Citizen Day and begins with the Junior Fair Rabbit Show. At 10:30 a.m. there will be Bingo in the Grange Hall Annex. The day’s schedule also includes Pigeon Racing, Flower Show Judging, Harness Racing with Para Mutual Betting, Ladies Baking Contest, Cloverbud Graduation and the Riverside Cloggers. On the pull track and at the grandstand will be OMTPA and Tractor Pull, with Motor Cross at the Grandstand. Friday morning begins with the Junior Fair Pet Show and Kiddie Tractor Pull of Champions. 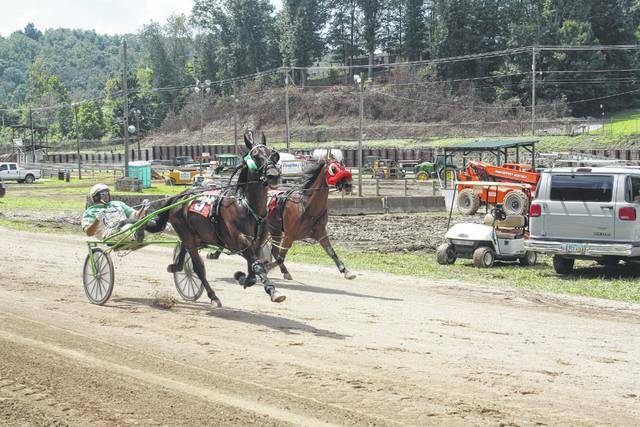 The Junior Fair Awards program will be held at 1 p.m., as well as Meigs County’s Got Talent at 3 p.m. Harness Racing with Para Mutual Betting will taking place in the afternoon, followed by the truck and semi pulls in the evening. The Showman of Showman contest will be held at 6 p.m., with Hill Stage entertainment for the evening to feature Amix. The horse pull will also take place on Friday evening at the Grandstand. Saturday is the final day of the 2018 Meigs County Fair. Roll Call for all Market Livestock Members is at 8 a.m., with the Livestock Sale to start at 10 a.m. The day includes Dairy Sweepstakes. The Pull Track will be busy with ATV Pulls, Youth Tractor Pulls, Tough Track Contest and the “Hot” Garden Tractor Pull. Karaoke with Kip will take place on the Hill Stage, with fireworks to close out the fair. Daily activities include programs by Animal Enterprises (pig races and petting zoo) which will be held in the front gate area; the Kiddie Tractor Pull which is held Monday-Thursday at 4 p.m., with the Pull of Champions on Friday at 11 a.m.; and World Champion Wood Carver Dennis Beach with three to four daily shows. Additional information about the 155th Meigs County Fair can be found at mydailysentinel.com and in the Meigs County Fair Preview special section in the Aug. 10 edition of The Daily Sentinel.